• Made from pure, Kolinsky sable hair. 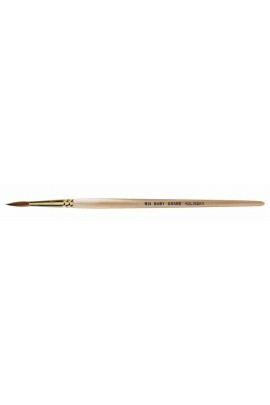 • Shorter handle allows the nail tech to work closer to the nail for greater sculpting precision. 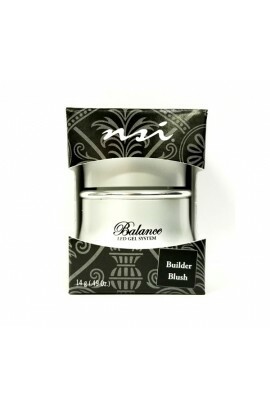 • Recommended for use with the Balance UV Gel System. ..
• Made from pure, Kolinsky sable hair. 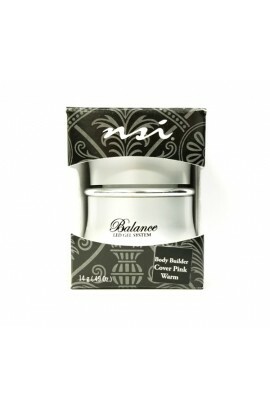 • Aids in the creation of thin, beautiful, and properly designed nail enhancements. • Larger barrel allows for increased liquid pick-up. 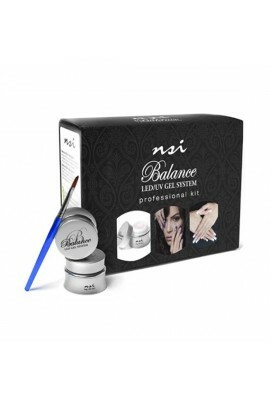 ..
Balance LED Gel System combines advanced light cured technology and precision products, to create a unique Hard Gel System. 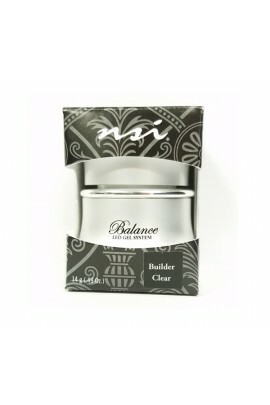 The Balance LED Hard Gel System is incredibly user friendly, and only hardens when it is cured under UV or L.. Designer Base Oligomer - Backbone for tough, odorless, solvent resistant gelsViscosity Modifiers - Optimum working properties for overlays, sculpting & finishingCross-Linkers - Thin enhancements that are strong & flexibleBonding Treatm.. The Balance LED/UV Gel System combines advanced light cured technology and precision products, to create a unique Hard Gel System. The Balance LED/UV HArd Gel System is incredibly user friendly, and only hardens when it is cured under U..
5AM Commute 1707 A brand new gel polish formula just for nail enhancements. Go Color has no dry time, no tacky layer and cures to a high gloss color in just 60 seconds in a LED lamp. 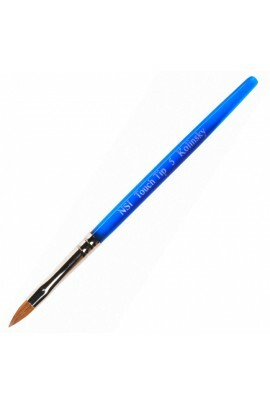 No base or top coat needed! Finally, a ge..
NSI Go Color Collection 2015 A brand new gel polish formula just for nail enhancements. Go Color has no dry time, no tacky layer and cures to a high gloss color in just 60 seconds in a LED lamp. No base or top coat needed! F.. Barely There 1715 A brand new gel polish formula just for nail enhancements. Go Color has no dry time, no tacky layer and cures to a high gloss color in just 60 seconds in a LED lamp. No base or top coat needed! 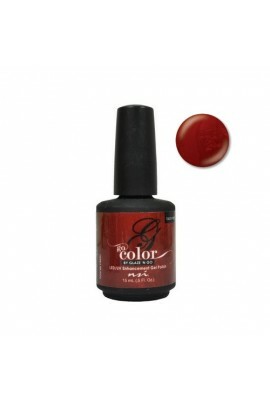 Finally, a g..
Cherry Cheeks 1709 A brand new gel polish formula just for nail enhancements. Go Color has no dry time, no tacky layer and cures to a high gloss color in just 60 seconds in a LED lamp. No base or top coat needed! Finally, a .. Happy Hour 1708 A brand new gel polish formula just for nail enhancements. Go Color has no dry time, no tacky layer and cures to a high gloss color in just 60 seconds in a LED lamp. No base or top coat needed! Finally, a gel..
Heat Of The Moment 1713 A brand new gel polish formula just for nail enhancements. Go Color has no dry time, no tacky layer and cures to a high gloss color in just 60 seconds in a LED lamp. No base or top coat needed! Finall..
Lipstick Stains 1702 A brand new gel polish formula just for nail enhancements. Go Color has no dry time, no tacky layer and cures to a high gloss color in just 60 seconds in a LED lamp. No base or top coat needed! 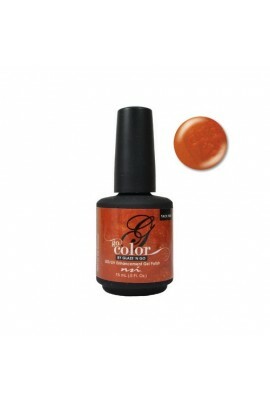 Finally, ..
Lovers Coral 1712 A brand new gel polish formula just for nail enhancements. Go Color has no dry time, no tacky layer and cures to a high gloss color in just 60 seconds in a LED lamp. No base or top coat needed! Finally, a g.. Midnight Flight 1704 A brand new gel polish formula just for nail enhancements. Go Color has no dry time, no tacky layer and cures to a high gloss color in just 60 seconds in a LED lamp. No base or top coat needed! 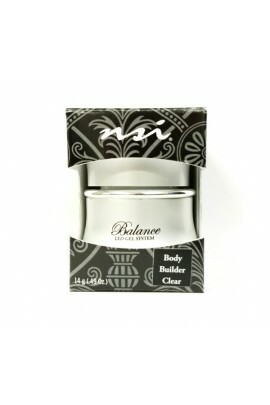 Finally, ..
On My Way Up - 1703 A brand new gel polish formula just for nail enhancements. Go Color has no dry time, no tacky layer and cures to a high gloss color in just 60 seconds in a LED lamp. No base or top coat needed! Finally, a..
On The Go Orchid 1701 A brand new gel polish formula just for nail enhancements. Go Color has no dry time, no tacky layer and cures to a high gloss color in just 60 seconds in a LED lamp. No base or top coat needed! Finally,..
You're Fired 1705 A brand new gel polish formula just for nail enhancements. Go Color has no dry time, no tacky layer and cures to a high gloss color in just 60 seconds in a LED lamp. No base or top coat needed! Finally, a g..
• Formerly Sanitize • Fast acting antiseptic spray for hands, work areas, and files • Use to reduce the spread of infection • Clean, citrus scent • Great item for clients to keep in their home, car, or cosmetics case to keep their ..